DNA Test in Solan Himachal Pradesh has been welcomed with open arms. DNA testing is used to discover potential of serious disease. It can be used for investigations as scientific evidence. It has set people free from jails, which were under trial and at the same time set examples of justice. It has helped the fathers to develop unequivocal bond when they were always in doubt about the paternity of their child. Any case can be solved with the help of a DNA test. It is thus helping the police and law and bringing justice. DNA test in Solan has helped to discover major diseases and lead to improved treatment. DNA test can be used to prove infidelity. It can help in the recognition of dead bodies that have decomposed. It also brings you closer to your past with a DNA ancestry test. 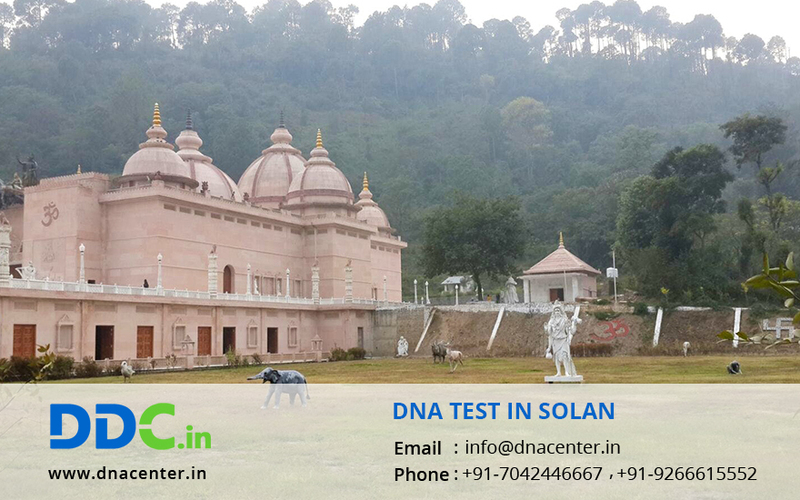 Solan DNA sample collection center managed by DDC Laboratories India. DDC Laboratories India is affiliated to DDC and AABB accredited, the world leaders in DNA Testing. For any kind of DNA Test in Solan Himachal Pradesh, please fill the below form and our executive will contact you. Also, for any queries or to make an appointment, call us at 7042446667 or WhatsApp us on 9266615552.